"Our family would like to thank Les York and RE/MAX Kelowna for finding us this wonderful new home. Even though we weren't actively looking at the time, Les found us a beautiful home in a very desirable neighbourhood. With Les' help we were able to sell the home we were in before our closing date and move into our new home efficiently. This is our second home purchased from Les York and both times we've had a very positive experience. We found Les to be very helpful throughout the entire moving process. Thanks for every thing Les." "We met Les York more than 20 years ago when he lived a few houses away from us. Over the years we kept in touch so when it was time to list our house, choosing Les as our realtor was a natural choice. Les and his colleague, Shane, succeeded in selling our home not only on a timely basis, but for 98% of our original list price. They were also instrumental in finding our new home. We could not have been more pleased with the professional and attentive service we received from them both. And this never wavered from start to completion. Selling or buying a home is stressful and it was reassuring to have Les and Shane support us through the entire process. We would not hesitate to use Les and his team for our future real estate needs and, with confidence, would highly recommend them to anyone wishing to purchase or sell a home." Les worked quickly to secure the purchase of our new home & sale of our existing home. Les was a pleasure to work with & went far beyond to ensure our needs were met we would recommend Les to any one looking to buy or sell their home." "It's been almost a year now that we have been in our new house and I wanted to thank you again for all your help and kindness when selling our old house. Brad and I really appreciated the use of your trailer and how flexible you were with lending it to us. Most of all..we really appreciated you coming to pick us up when out truck broke down at the storage unit. That was above and beyond our expectations. You were so gracious and up beat that we really can't thank you enough. (We really needed it at that time!) You really have a good attitude and I am sure that is why you are so good at what you do. By the way..our daughter Kaylie still calls you her" her friend Les"
Now that we have let the dust settle after our move we feel that we must give you a big "thank you" for the way in which you handled the sale of our Sundance Drive home. It is no wonder that you are both so successful in your business. The way you negotiated the sale and the attention to detail in explaining all the steps necessary in "selling" the house was first class. Even after the sale was completed you followed up to ensure we were satisfied with everything. To top everything off you obtained almost 100% of our asking price. We can't thank you both enough for a great business deal and we would recommend you highly to anyone contemplating a real estate transaction." "Just a quick note to thank you fo the excellent service we received while selling our house. Please also extend our thanks to Lynn and Wendy. We felt we received prompt and professional service at all times. We will recommend you to others." "We would like to take this opportunity to thank Les York and his team for their exceptional service in selling my Mother's home in Guisachan Village.Les was extremely efficient in listing the home quickly, providing us with feed back on showings and of course the quick sale. In addition, Les and his team went out of the way to assist our realtor in the Lower Mainland with required signatures for the purchase of our new home. 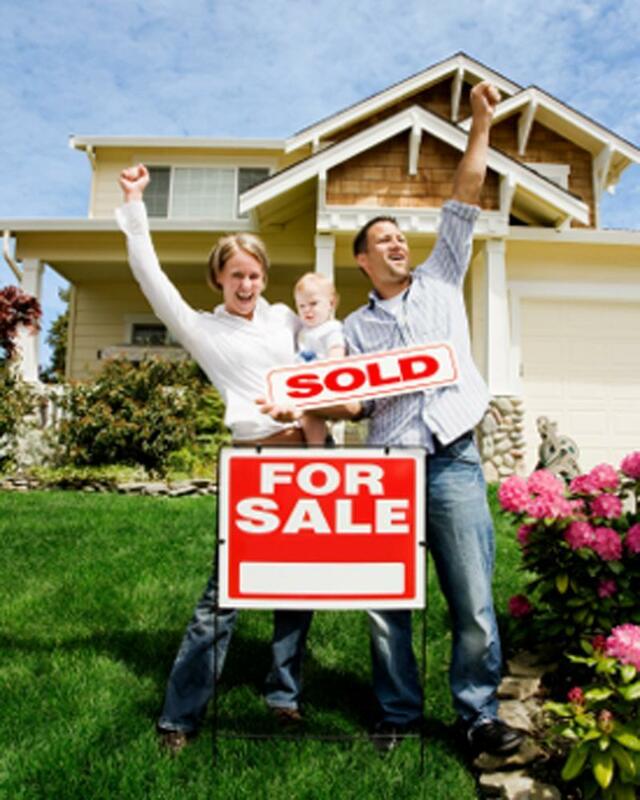 We are glad to have worked with such a professional and personable realtor. I would recommend Les York to all of my friends and family." "My wife and I decided to sell our home located in the Shannon Lake area of Westbank. In light of recent real estate activity in the area, it was apparent to us that Mr. Les York had in short order, listed and sold several homes in our immediate area. On our first meeting with Mr. York was on September 21, 2004. We were impressed with Mr. York's professional presentation and signed a listing agreement with him at that meeting. On September 23, 2004, our home was shown to a prospective buyer whom Mr. York had been instrumental in referring to our home. On September 24, 2004 an offer from this individual was presented. With Mr. York's assistance, a purchase price amounting to $1000 under the asking price was negotiated and accepted. Needless to say, we were most impressed with Mr. York's efforts on our behalf. We found Mr. York to be very knowledgeable about the real estate market, very prepared and very personable. Notwithstanding the short time involved in the sale, Mr. York kept us fully informed every step of the way. My wife and I would highly recommend Mr. York without hesitation to anyone selling or purchasing real estate." "When we came to sell our Shannon Lake Home there was no question as to who would be our Realtor. Les York was always our first choice. From the first contact to the closing of the deal, Les and his team were there for us. We really felt that we had made an informed decision when it came to the listing details and the setting of the asking price. Les provided us with lots of current local information about the market and what we could expect. We always had plenty of notice regarding showings and we were given lots of feedback following the showings. When the offer to purchase came in we sincerely felt we had made the best deal we could. We would not hesitate to recommend les York for your real estate needs. We would certainly use his service again if the need arose." "I met Les York at a very stressful time in my life. My mother had become ill, and was no longer able to live in her house. Les provided me with an accurate price for the property, and was able to show me what similar properties in the area had sold for. Les also did an amazing job on the pictures and the write up for the house. He kept me updated constantly on any new developments on the property. When a bid did come in for the house I felt confident that Les was working in the best interest of myself and my mother. All in all, Les York was a pleasure to deal with. He puts a genuine personal touch into his work, and one can't help but to consider him a friend. Should someone approach me and ask me to refer a real estate agent, Les would come highly recommended." "Thank you very much for saving our Family Fun night......the RE/MAX tent was invaluable as it poured rain all night long. Thanks again." "I would like to take this opportunity to thank you on behalf of my family for providing outstanding service in finding our new home and ensuring that the finishing on the home was done to our liking. You went out of your way in allowing access to the home for us to visit on a number of occasions for various reasons and you made sure that the builder had done exactly what we wanted. We have dealt with a number of realtors in the lower mainland and none are as genuine, friendly and courteous as you are. I have no hesitation in recommending you to anyone we know and we will definitely use your services in the future. Thank you once again." Les York and Associates Kelowna"This is just a quick not to say how pleased we were with Les York as our realtor. We had put an offer on a much bigger house which was accepted but of course it was subject to the sale of our house. We had exactly three weeks to sell our house before our offer expired. Well, with Les' help and sales expertise we managed to sell our house before the three weeks was up. Not only that, we managed to get the closing date on the sale of our house when WE wanted it. This was very important to us. We were always kept up to date on the amount of advertising that was being done on our house and Les always followed up for opinions after a showing. We are very pleased with how everything turned out and would not hesitate at all to recommend Les to our friends. Thanks again Les! " "Les York sold our house in one day with no open houses or strangers touring our home! Les worked diligently to close our sale and coordinate and close our new home purchase. His honesty and dedication will seldom be duplicated. He worked all hours of the day/evening to ensure we were always kept up to date on new developments. We actually felt like he worked for no-one else but us. Les will be our first choice for any real estate dealings. Thanks Les, for making such a stressful event so much easier." I just found in my purse the nice PR gift that you sent to me about 2 years ago- the tokens in the loonie and the quarter sizes on a keychain that you sent out to residents in this area. Very good idea, as you well know. There I found your Email address. Oh yeah…. I am the lady that lives on Sundance Drive that you helped with her outside furnace filter change about two weeks ago, on Sunday (25th. of April perhaps). You had an open house across the street, the house with the swimming pool that hasn’t sold for over a year, and you also had a couple to see the house beside me, the Ganzevelts’. I remember that you even scratched a finger inside the blasting thing. Same thing had happened to me before. I just wanted to repeat to you my gratitude for your kindness and that you have a friend here. As I told you, I do not have plans at present to move from this beautiful home, but you never know…. As well, I know that you did not help me that day for any ulterior purpose (future client), but because you are a fine gentleman and have a kind heart. God bless you. Once again, THANK YOU for your continued support of Shannon Lake Elementary School Parent Advisory Committee School Carnival! Without the huge Avalon 10X10 tent out event would not be a success! Thank you for helping to build a great community!" "We chose Les York as our real estate agent because of his well-established reputation. Also he lives in the area, which is a tremendous advantage for buyers as he knows about the schools, parks, etc. The brochure of our house was excellent- colourful and inviting. All aspects of service were well handled, including realistic pricing, advertising, and regular feedback. We can certainly recommend Les as an agent to sell your house." Thank you so very much for supporting our work again this year. Your gift made it possible for volunteers to help people in desperate times of need. We hope that you will have the confidence in our work and mission to make the Red Cross one of the charities you choose to support next year. Our very best wishes for a wonderful holiday season and a happy, healthy New Year! May you find peace in the simple beauty of the season." We wanted to thank-you for all your hard work + for walking us through the process of selling + buying! We were blown away by your VERY kind + generous gift! Thank-you so much! It's been nice to relax in front of the flames with a cup of tea!" To the best REALTOR® that Rich and I could have asked for! Thank you for understanding all of our needs: fast turnaround time, fenced yard, country-like backyard, bright clean home, potential in-law suite, walking trails, family neighborhood, park nearby… You delivered on them all! Plus, a loving, caring daycare next door!! The portable fireplace/fire pit will come in so handy on these cool fall nights. Thank you for spoiling us with such a generous gift! We look forward to seeing you around town, and when Ron/Peg buy their next home!" "You are a fine man with integrity. I am pleased to have met you and want to thank you for your referral gift. Your business will continue to grow because of your work ethics. "Hope you know how much it meant… and how very much you’re appreciated. Thank you so much for all the time and effort you put in to getting us out new home!" "I would like to express my gratitude to Les for finding me just the perfect house! Les always had the big picture in mind, he was looking out for my current needs as well as making sure I’d be okay in the future. He knows the market and the area so well that I had full trust and faith in him. Les cared about helping me, he was supportive and very mindful of so many things that I wasn’t even aware of! I am so thankful for all of his help, professionalism and genuine concern, not to mention how hard Lynne worked to make everything line up just perfectly when it came to all the deadlines!!"